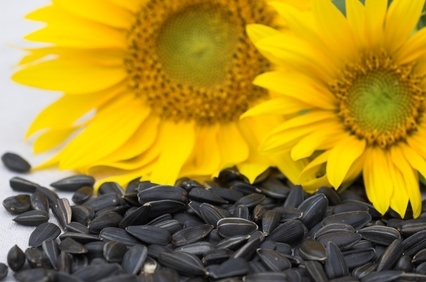 ﻿ Planning to Venture into Sunflower Seed Oil Production? Our sunflower seed oil production requires little initial investment and a minimal workspace, but performs all functions necessary for edible oil processing. 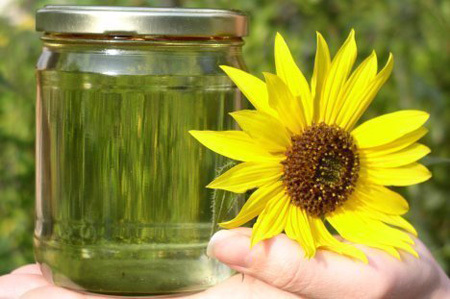 The sunflower seed oil production machinery is designed by KMEC so that homesteaders can produce sunflower oil from their own seeds and the small scale sunflower seed oil production mill own can get the oil by his own. The oil can be pressed as it is under room temperature or heated to 170 degrees F., which gets more sunflower seed oil production yield. Method one , which is pressed under room temperature require the seed to be ground to powder. 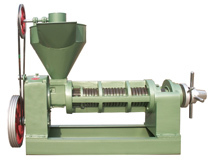 If you are pressing the oil seed variety, a meat grinder or electric blender will do an excellent job of grinding the sunflower seed. The seed will require to be hulled and winnowed before it is ground. A food mill with the stones set at the coarse setting can be used to accomplish this step. The ground kernels are placed in the cylinder with the piston closing the bottom portion of the cylinder.The cylinder is mounted in the press frame and a three-ton hydraulic jack is used to supply the pressure.Because of the great pressures created by the hydraulic jack, it is important that the frame be properly constructed and firmly mounted to the work surface before the pressing operation begins. Method two ,which is pressed under 170 degrees F. that can get more oil yield , do not have the certain requires on the sunflower seeds. Anytime you would like to know more info about our sunflower seed oil production machinery or any related equipments, please write to us immediately, we are always ready to serve you!